Note: Waso robes can be donated for $ 50 each. For more information, please check it out at Events page. 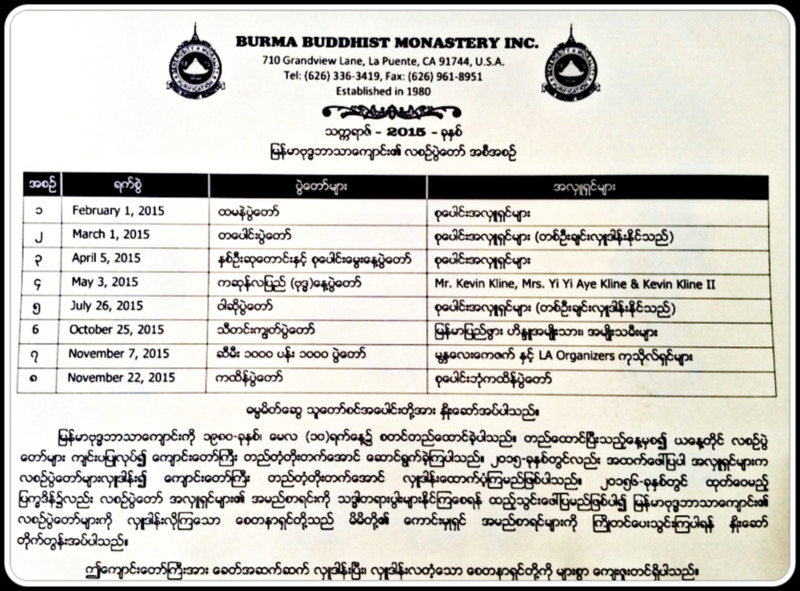 You are cordially invited for Burma New Year Event on Apr 5, 2015 at 11 am. You can enjoy Burmese foods such as Mont-Hin-ga, Pha-Lu-da, pickled tea leaves salad and other burmese desserts offered by our donors below. We will use the rest of donation for the construction of new Meditation Hall . Thank you. If you are interested to register, please contact at 626 336 3419.